Glaucoma is one of the many eye conditions that affect thousands of people around the world and is considered to be the leading cause of irreversible blindness globally. According to estimates, 3 million people in the United States suffer from glaucoma, while the numbers continue to rise. Glaucoma damages the optic nerve, which connects the eye to the brain. The primary causes of glaucoma are often hard to be pinpointed. However, the disease is usually caused because of pressure buildup on the optic nerve. Also referred to as the silent thief, the symptoms of Glaucoma are not evident at first. Early diagnosis of the disease helps in the control of the disease. However, once the disease spreads, the eye is wasted, and the person is left permanently visually impaired. For a disease that shows symptoms only when its too late and progresses if not taken care of properly, its imperative that you know how to better manage your glaucoma and make the most of your vision and health. Before you try better management techniques, the first step is accepting your diagnosis. For most people, it can come as a shock, leading to panic, anxiety, and even depression. This diagnosis should not be taken as absolute and does not signify an end to healthier living. Instead, the diagnosis should be considered as an opportunity to take care of the body more and live a more robust and gratifying life. How so? Because any damage done due to glaucoma cannot be reversed if it damaged your optic nerve (with present medical practices), but you can control how the disease progresses from there on. The sooner you accept it, the quicker you will be on a trajectory of recovery. 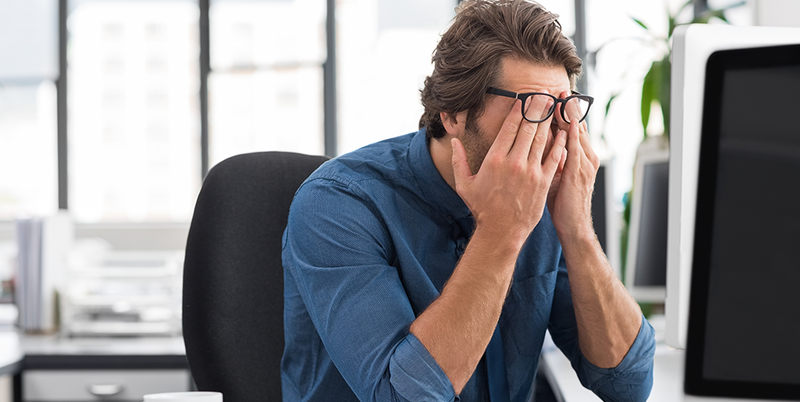 Different precautionary measures can be taken which can help control the extent of damage to the optic nerve, but it won’t help if you are spiraling down in a descent of despair. So, if you want to lead a healthy and happy life, which is very much possible even with glaucoma, you need to first accept the facts and you will be one step closer to a more fulfilling life. Who does Glaucoma Affect ? Once you have accepted your diagnosis, understanding the disease also helps. Glaucoma can affect adults and children of all ages. 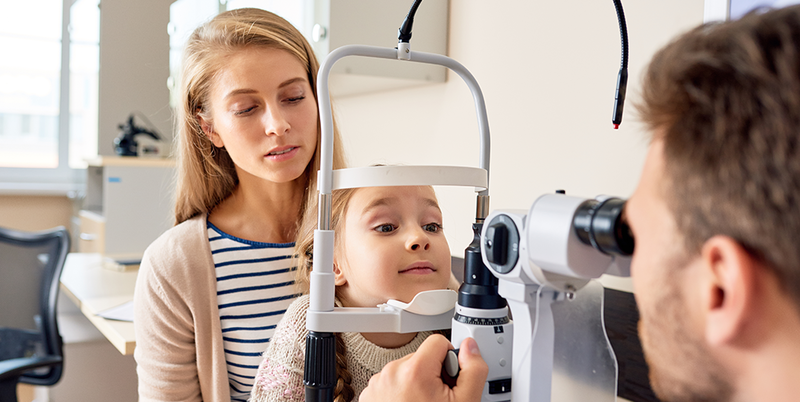 People with a family history of the disease and people over the age of 40 are more susceptible to developing glaucoma, but there is no rule of thumb when it comes to who glaucoma affects. According to the United States National Library of Medicine, one kind of glaucoma affects around 1 in 10,000 people, while the other affects about 1 in 50,000. A more elaborate example would be of Danielle Rahr, a 16-year old girl, from the state of Kentucky. She was diagnosed with glaucoma at the age of four. The diagnosis came as a shock to the family, yet they were able to recover from it, by undergoing different surgeries and treatments, which slowed down the effects of the disease. The underlying cause of her condition is yet unknown. However, Danielle has been able to live a healthy and normal life with the support provided to her by her parents and was able to overcome the psychological and emotional impact with her sheer will and determination. Paired that with using assistive devices such as those provided by IrisVision, really helped Danielle live her life as a normal person. Now that I have you on board, lets discuss how you can effectively manage glaucoma. For patients with glaucoma, it is essential to divert their mind and focus on the positive aspects of life. 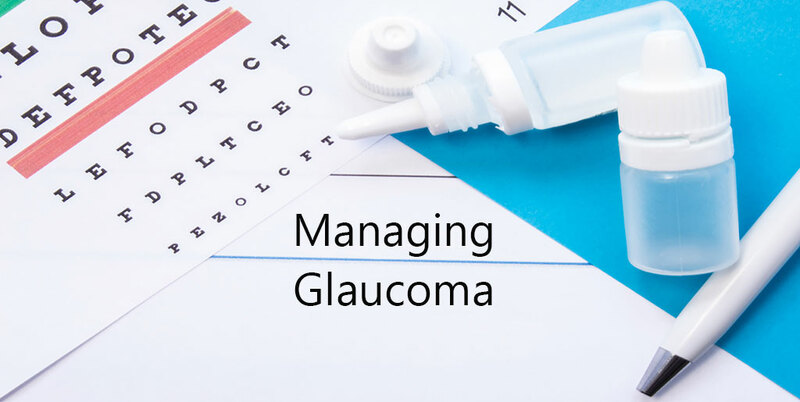 Caretakers, family, and others around the patient can also help provide support for the patient by knowing more about glaucoma and employing different strategies to minimize its implications on their lives. By supporting the patient and helping them out whenever feasible, the patient will be able to understand the disease better and make the necessary healthy decisions, encouraging self-management. Take on new hobbies and activities. Understand the psychological and emotional impact. Resort to appropriate low vision aids. For patients living with Glaucoma, or those who have recently been diagnosed, it is important to take care of the health requirements of both the body and the mind. After diagnosis, it is crucial for patients to strive for optimal eye health. These lifestyle changes can help lessen the symptoms of the disease but are not a sure way to manage the disease. The lifestyle changes can help improve the quality of life of the individual and promote eye health. A diagnosis of a disease is the identification of an illness or a disease. An eye doctor or a practitioner can make a diagnosis only after noting down the symptoms of a disease. They take the necessary steps to come up with a provisional diagnosis, following a systematic methodology. After performing the necessary tests and examination of the patient, the eye doctor is able to analyze the patient and reach the final diagnosis, which helps in the future treatment of the patient. A prognosis, on the other hand, is the educated guess that is made regarding the effect or outcome of a treatment or medication for a patient. The prognosis determines the outcome of treatments, medications and surgeries on the disease or ailment of the patient. Both the diagnosis and prognosis play an essential role in the medical decision-making process and are undertaken based on previously defined medical models. Understanding the effects of glaucoma on the different areas of your life is an important aspect that leads to building better endurance of the disease. Coming to terms with the diagnosis is the first step towards understanding the ongoing and upcoming changes in your life. Although not carved in stone, the diagnosis can help lead to living a better life and implementing the necessary lifestyle changes. If you have recently been diagnosed with glaucoma, you should step away from looking into details of the disease that may scare you. Talk to your doctor about the different aspects of the disease and try to understand that the disease may be a step forward towards healthier habits and lifestyle changes while adopting measures for preventing the disease from deteriorating further. The diagnosis of the disease is not the final word, and by employing necessary treatment and preventive measures, it is most likely that your vision will not worsen. Medication is a vital prevention technique that can help delay the progress of glaucoma. With the help of properly advised medication from an eye doctor or ophthalmologist, different aspects of glaucoma can be easily managed and controlled. By regularly administering the medication, the long-term effects of glaucoma can be controlled, and eye health can be managed. Skipping medication or drugs can worsen the disease or even speed up the deterioration of the eye further. Communicating with your loved ones can be a difficult task. However, it is essential to communicate with the people around you and convey your true feelings. Storing emotions and keeping them bottled inside can cause a negative impact on the mind and create issues in the long term. However, communicating and learning more about the disease can help you reach out to like-minded individuals, and help them cope with the possible vision loss. Ask your doctor about the different aspects of the disease and learn more about glaucoma by meeting like-minded people. Communicate with family and close friends that you trust, as the disease is not only your own personal battle, but is likely to affect them as well, mentally and psychologically. Regular checkups and monitoring of the symptoms of glaucoma can help alert the doctor and the patient regarding possible impacts of the disease. Paying attention to the diseases and its symptoms can help individuals recognize any deteriorating aspects, often helping in the early identification of any other possible disease. Consultation and frequent visits to the doctor’s office can help build a strong doctor-patient relationship, creating a more transparent and effective communication pathway. After the diagnosis of glaucoma, it is possible for a person to spiral into a state of depression and be psychologically affected. Activities, tasks, and hobbies that seemed attractive merely a few days ago, soon begin to feel onerous. It is essential to take up new hobbies or activities that can help create a positive addition for the people, to cope with the stress and emotional impacts of glaucoma and other similar diseases. Outdoor activities such as exercising, gardening, and other such activities that connect the person with the natural world, can help in diversion. New hobbies can be taken up according to the interest of the individual, helping ease their stress and the mental impact of the disease. When diagnosed with a chronic disease, most people try to stay away from the world while trying to maintain a low profile. However, separating from the world can be harmful in the long run. People victimized by chronic diseases should join support groups in their localities or online to help create dialogue among people suffering from similar diseases. Chronic diseases can be a source of depression and stress for both the patients and their families. Studies have shown that without the proper support from family and friends, most sufferers of chronic illnesses can spiral into a state of depression. Open communication is a powerful tool that can help create dialogue among individuals, allowing them to become more involved in their treatment. Various support groups can be found that help people suffering from chronic diseases and illnesses effectively deal with different implications of the disease. The risks of chronic diseases and illnesses can create long-term implications for the patient. Patients are often unaware of the different diseases and therefore, are often shocked to find out that a particular disease exists. Diseases that do not display any physical symptoms but slowly creep up on the person, such as glaucoma, have to be understood, to help the patients receive optimal care and treatment and to minimize the mental impact of the diagnosis. Multiple risk factors associated with the disease need to be analyzed in detail to understand better the extent of harm that the disease is capable of. The risks can be assessed with the help of a doctor or an ophthalmologist, who can evaluate the possible risks of glaucoma while analyzing the extent of damage done by the disease. Diseases can have adverse psychological and emotional impacts on a patient. The psychological impact of a disease and the stress associated with it can cause long-term adverse effects that may further weaken the body. With physical care, it is, therefore, equally important to take care of the emotional and psychological needs of the body. Directly or indirectly, chronic illnesses and diseases affect the brain of the patient. The high levels of stress associated with the disease can lead to increased hormone levels, affecting the entire body. Dealing with the psychological and emotional impact of a disease like glaucoma, which features no early signs of development and can occur at any point in life, is essential. Patients can become upset at the thought of losing their eyesight. Interventions and support groups come in handy at such a point and help cope with the psychological and emotional impact of such diseases. Low vision aids are an effective way to cope with declining visual capacity. Vision loss does not have to mean the loss of sight and the loss of life. Low vision aids like IrisVision make use of VR technology for enhancing the eyesight of an individual and helping them become more equipped at dealing with everyday tasks and activities. Low vision aids are a cost-effective way to deal with glaucoma and other common eye diseases capable of inflicting vision loss. For patients such as Danielle, who have to live with glaucoma and the threat of the disease returning anytime, at any point in their life, low vision aids are a ray of hope, which can help them view the world with some extra help.